Voice introduces once again Xtreme series Smartphone in national market with amazing features. The name of newly launched hand-set and the name of this hand-set is Voice Xtreme V60. It is mind-blowing Smartphone has introduced by VOICE MOBILE for its valued buyers throughout the World. 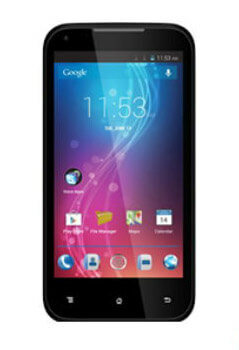 It is providing Android OS, Jelly Bean system along with speedy 1.2 GHz Quad-Core speedy processor. It has introduced fast processor system in this Smartphone for using multiple things in a single time. It is also providing dual SIM option in this hand-set and customers can avail two SIM connections at a single time by using it. It provides 1 GB RAM along with 4 GB built-in memory feature and external SD storage option. VOICE is giving fantastic camera option in this hand-set and customers can avail 12 mega pixels rear and 3 mega pixels front camera option in this mobile phone. This is perfect mobile phone for all those cellular operators who really like for capturing countless images through his/her cellular phone. It gives 3G internet technology system in this mobile phone and customers can avail 3G fastest internet service by using this product. This is also providing all Smartphone features for using and customers also get Bluetooth, Wi-FI, GPRS and many others Smartphone options in this Voice mobile hand-set. The complete details of specification of this mobile phone are mentioned as below. Processor: 1.2 GHz QUAD-CORE, Cortex A7. Rear Camera: 12.0 Mega Pixels (LED Flash). Front Camera: 3.0 Mega Pixels (Auto-Focus). Display Pixels: 540 x 960 pixels. Display Colors: 16M Colors and IPS QHD Touchscreen. Bluetooth 4.0, LE, GPRS, EDGE, USB, Wi-FI Hotspot, Router. 3G Enabled: WCDMA 2100 MHZ. Audio: 3.5mm audio jack, MP3, MP4, WAV. Messages: SMS, MMS, E-mails, Push Mail, IM. Ringtones: MP3, Polyphonic tones, Sound-recording, Downloadable. Other Features: GPS, A-GPS Support, Multi-touch display screen option, Long-Battery, Speaker phone, Calendar, Glonass. Latest Features: Magnetic sensor, External Micro SD support up to 32 GB, Google Maps, WhatsAPP. Price in USD: 83 USD. You may also like it: Voice Xtreme V90 and Voice Xtreme V80.